Sussex batsman Tom Haines has signed a new multi-year contract with the club. 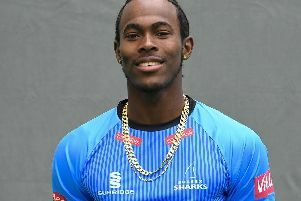 The 19-year-old, who signed his first professional terms with Sussex in October 2017, scored his maiden first-class century earlier this season in the win over Durham at Arundel. Sussex head coach, Jason Gillespie added: “Tom’s a young player who I believe has a big future in the game and I’m very pleased that he has signed on with the club for the next chapter of his career. Haines has now played four first-class matches since his debut in August 2016. He has scored 154 runs at an average of 30.8 including a top score of 124.